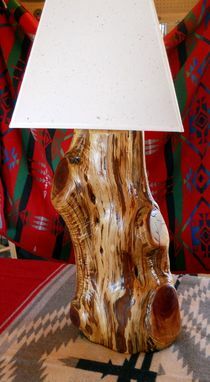 This lamp is an amazing piece of functional art. 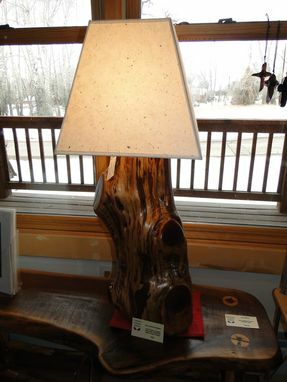 The base is handcrafted from locally harvested Juniper (Cedar) and sealed with polyurethane. 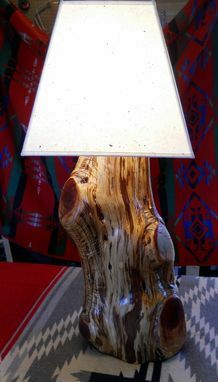 The shade was handmade by my wife with natural paper material. The effect is organic, rustic, and quite stunning. 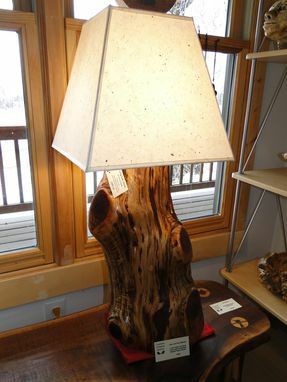 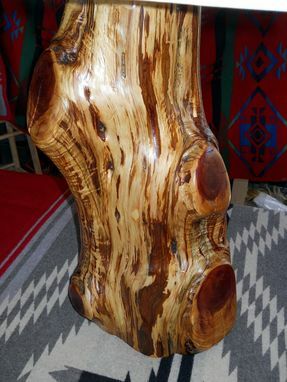 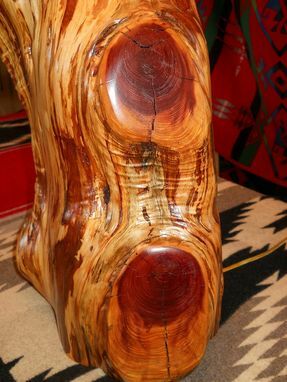 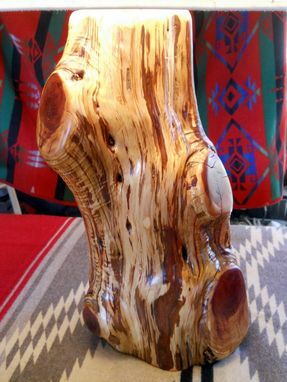 Bring a little bit of the woods into your living room with this unique piece.